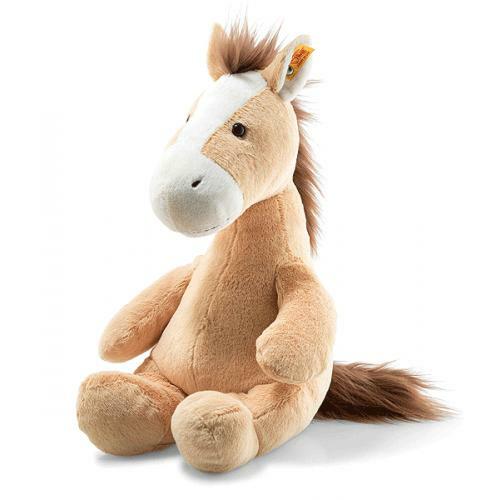 Hippity Horse is hand made in the finest blond cuddly soft plush. 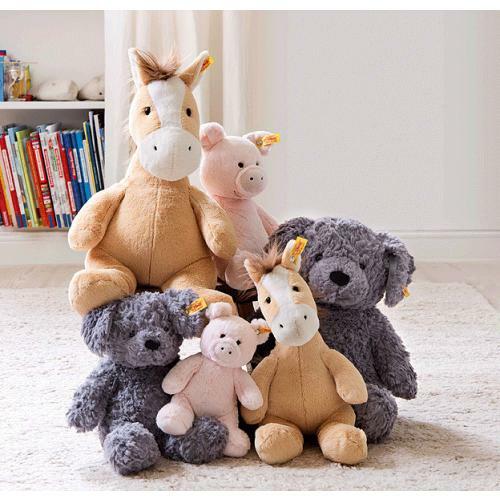 The 38 cm tall Soft Cuddly Friends Hippity horse has bean bags in his feet and hindquarters. That enables him to sit upright easily. 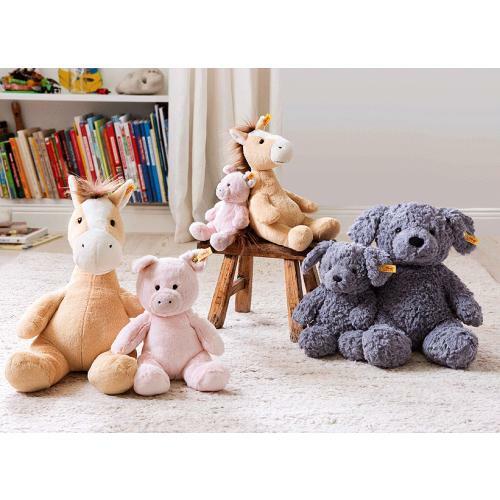 His inner ears, blaze and mouth are cream-coloured, while his nostrils are embroidered in black. 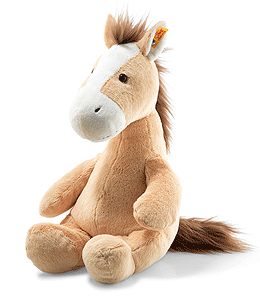 His brown mane and tail form an excellent contrast to his blond coat made of cuddly plush fabric.